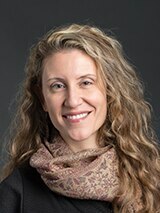 Dr. Alyssa Crittenden is an Associate Professor of Anthropology at the University of Nevada, Las Vegas, where she is also an Adjunct Associate Professor in the School of Medicine. She received her M.A. and Ph.D. in Anthropology from the University of California, San Diego. Dr. Crittenden’s focus in anthropology is on behavioral ecology and nutritional anthropology. She does field research among the Hadza hunter-gatherers of Tanzania, East Africa. Her research interests include the evolution of the human diet, the evolution of childhood, and the origins of the division of labor between the sexes. Dr. Crittenden’s work crosses several disciplines, including anthropology, psychology, ecology, nutrition, and human biology. Dr. Crittenden has received multiple awards for her research contributions, including the prestigious Nevada Regents’ Rising Researcher Award for 2017. Her research on the role of honey in human evolution and her work on Hadza diet and the gut microbiome have been widely published in both top-tier academic journals and highlighted in popular outlets, such as National Geographic magazine, Smithsonian magazine, and Psychology Today. Dr. Crittenden has also appeared on the BBC, on PBS and NPR, as well as in several documentaries. Her research among the Hadza was the basis of a TED Talk for EDxUNLV in 2016.